Learn how Pittsburgh began by exploring the conflict over the forks of the Ohio River between the British, French, and American Indians during the 18th century. 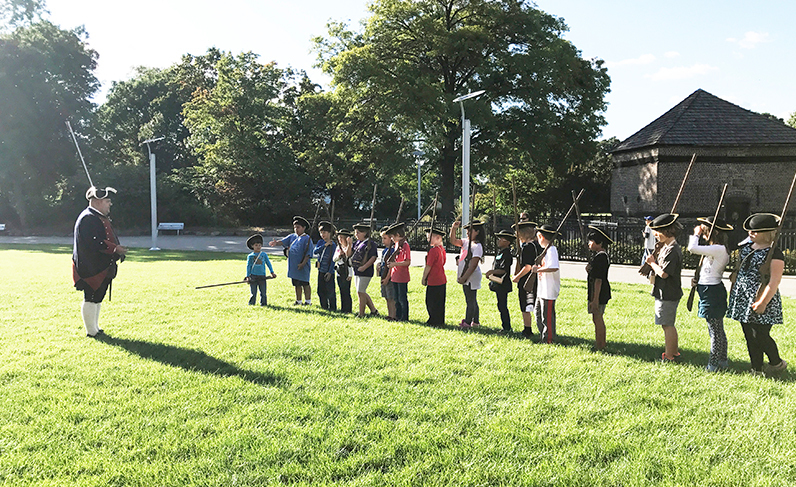 Students will explore the timeline of the French & Indian War in Western Pennsylvania and participate in hands-on activities related to life at Fort Pitt, which may include a cannon, musket, or marching drill. Students will also learn about the fur trade that made Fort Pitt, and the Point, a major trading post between Europeans and American Indians in a re-created fur trading cabin. Additional activities, including historic games and tours of Point State Park, may be added upon request and are dependent on availability. Cost: $4 per student | There is one free chaperone included with every 10 students. $4 per additional adult chaperone. Would you like the group to visit the Museum Shop? How did you hear about tours at the Fort Pitt Museum? Do you want to sign up for Fort Pitt's email newsletter?